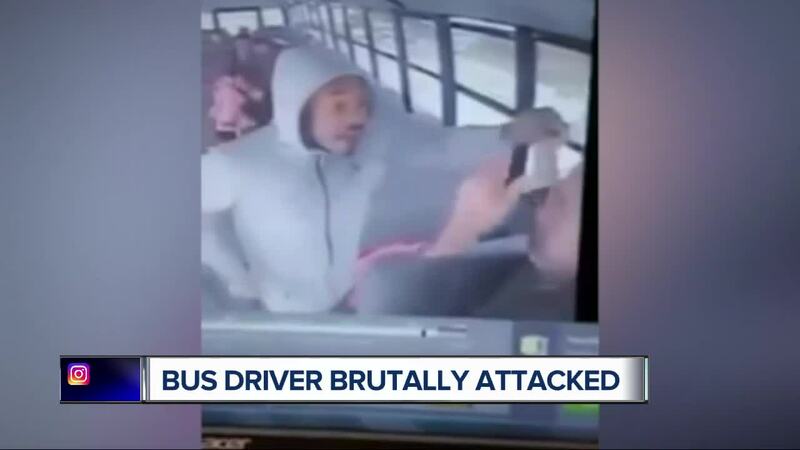 An attack caught on camera when a bus driver was pummeled by two people in Detroit. The video went viral and a mission to help the man took on a life of its own. Now, thousands of people have helped change the focus from something awful and disgusting, to something beauty and kind. PITTSFIELD TOWNSHIP, Mich. (WXYZ) — UPDATE: Detroit police say one of the suspects in the attack on Rebhi Mohammad has turned himself in at DPD's sixth precinct. An attack caught on camera when a bus driver was pummeled by two people in Detroit. The video went viral and a mission to help the man took on a life of its own. Now, thousands of people have helped change the focus from something awful and disgusting, to something beauty and kind. However, what happened at Asbury Park and Diversy, Friday, January 25th was not. It was brazen, brutal. Bus driver, 63-year-old Rebhi Mohammad was beaten in the driver’s seat of his school bus, right in front of the children. It happened on his route, taking them from their Pittsfield Township Charter School safely back to their homes. Although there was no way Mr. Mohammad could have shielded these kids from the fists of fury, the evil that was delivered by a couple of cowards in their midst. A GoFundMe account has been created to simply get him a new cell phone. However, when the video of this vicious display of violence went viral, so did the magic of social media. Then came a non -profit organization called Muslims Of The Word. It shared the story and put out a call for action to raise the money. In the end, $20,000 was raised in 24 hours! The money came from some of his loved ones in the classroom and from those who never met Mr. Mohammad at all. Generosity was generated from across the country and around the world. The check was presented to Mr. Mohammad a week after the incident, by three of the kids who were on the bus that day. Mr. Mohammad is loved by many, for so many reasons. Just a few days after one of the scariest moments of life, battered and bruised, he carries on his commitment, volunteering to help mold young mind at Multicultural Academy. That shows great character, and an even greater sense of the love in his heart. There is a message to be sent to the men behind this devilish deed. You hurt Mr. Mohammad, badly. His scars will heal. But you did not break Mr. Mohammad’s spirit, because it, can not be shattered.